On December 2nd, a small plane  took off around Matawaré village, deep in the Amazon rainforest, in the northern state of Amapá. On board was an indigenous woman of the Akuriyó group, her son-in-law, and a family of the Tiriyó group – a teacher, his wife, and three small children. The pilot was Jeziel Barbosa de Moura, 61, who is experienced in the region. The region's indigenous people frequently fly from remote villages to the town of Laranjal do Jari, located 265 km away from the state capital, Macapá (the journey by car from one to the other takes around four hours). A one-hour chartered flight costs around 3000 Brazilian reais (around 770 USD). Twenty-five minutes after takeoff, Jeziel sent a radio  message saying that he needed to make an emergency landing. Radar contact with the plane was lost after that. According to information from the news outlet G1, he was flying clandestinely without having previously disclosed a flight plan. Fifteen days after the plane went missing, the Brazilian Air Force announced they were suspending searches for survivors. The mission amounted to 128 hours  of flight in total. Two planes and a helicopter have searched an area of 12,000 km2, roughly equivalent to 12,000 football pitches. However, the thick forest made the work difficult. According to state news agency Agência Brasil , friends of the pilot and indigenous people from four groups – Apalai, Akuriyó, Tiriyó and Waiana – continued the search on their own, on the ground, for a month since the planed has vanished. The Association of Indigenous Peoples and Organizations of Amapá State and Northern Pará published a message condemning the Air Force's decision to suspend the search. The group says that the precarious state of landing strips for indigenous communities is a longstanding issue. G1  reports that there are 49 landing strips yet to be brought up to official standards in indigenous territories in Brazil, according to the Federal Prosecution's Office. In Amapá state alone, “there are 17 irregular strips, which are used for transporting health and education professionals and indigenous people themselves”. G1, a large mainstream online news site in Brazil that has been following the case, talked to relatives of passengers and the pilot. All of them said they were “in despair” and that they were waiting for help from the Army to search for the disappeared in the thick forest. The fear is heightened because it is a race against time. My father knows the region, he has been flying for a long time, so we know that he tried to land somewhere, but in the forest it is difficult to find. We know the difficulty of air rescue, but we want to find him, and so we gathered some miners and indigenous friends of my father, who are in the forest. But we want help from the Army which is prepared for this. Economic exploitation of indigenous lands, according to specialists, is “unconstitutional”  under Brazilian law. His plan would go against Brazil's 1988 Constitution, which provides for the right for indigenous people to “maintain lands, way of life, and traditions ”. The matter is not being discussed because the lives of indigenous people is not important at the moment, we are living an anti-indigenous time and they are considered to be an obstacle to the country’s development. We can draw parallels even with the children lost in a cave in Thailand, which has had more attention from the press. She added that indigenous people from the region often leave their villages to deal with personal matters and that they feel isolated. The village Mataware, from where the disappeared plane left off, is only accessible by water or air . 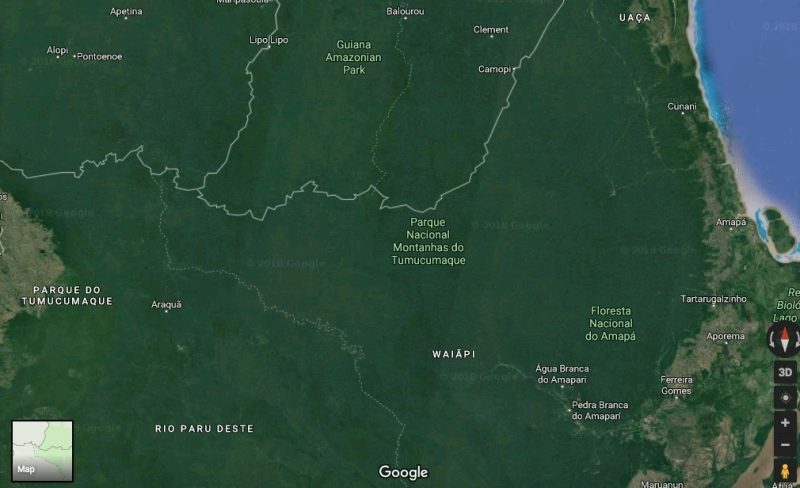 On the night of December 17, another plane carrying indigenous passengers had an accident in the Amazon, this time near the border with Peru. The three passengers were rescued alive by the Air Force .